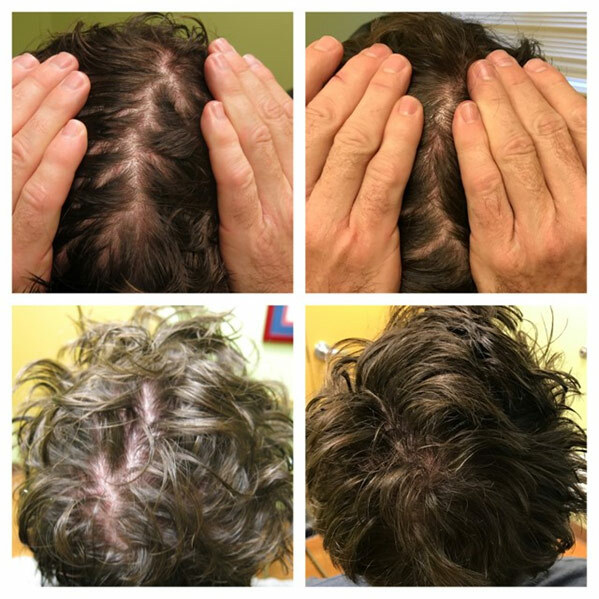 Male and female pattern hair loss is a genetic problem that can be very upsetting. Options, like prescription drugs, are often partially effective and carry the potential for unwanted side effects. Surgical hair restoration can be expensive and does not treat the underlying medical problems. Now there is an affordable way for you to improve your hair density without surgery or harmful side effects. Platelet-Rich Plasma (PRP), which is processed from your own blood, can be injected into your scalp to stimulate hair growth. Platelets contain healing growth factors. Those growth factors are like signal callers that give instructions to your tissue to regenerate and multiply. For years doctors have used PRP for wound healing to speed up recovery time and regrow healthier, stronger tissue. Now we have discovered its ability to thicken hair and promote regrowth. 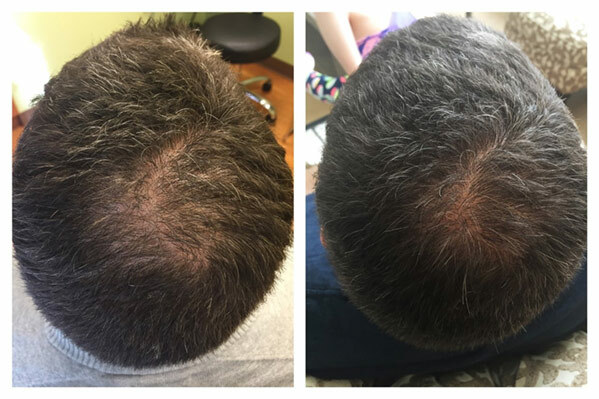 With PRP treatments, your growth factors and stem cells work together to reverse the miniaturization of the hair follicle and jumpstart dormant hair back into the growth stage. Most patients need 4 treatments, spaced one month apart to begin the growth process. To maintain the good results patients should have one treatment every 6 months. 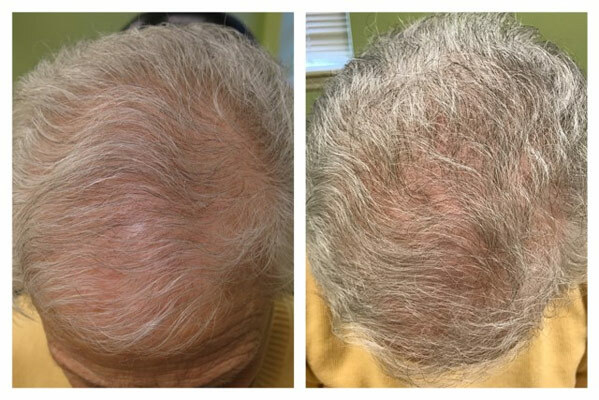 PRP is not a cure for baldness. The genetic condition will always remain. However, there is evidence that regular treatments can significantly slow down hair loss and increase hair density. Is PRP for hair restoration process time consuming? There are 10-15 shots into the scalp. You may experience pressure with the injections. Some people will have a headache the next day secondary to the injections. There are no restrictions on activity or downtime. But we do advise to avoid hair coloring for 48 hours. How much does it cost and when can it be done? The cost is $500 per treatment. Ask about our package pricing! 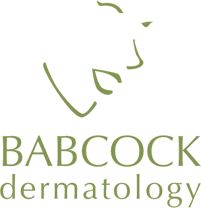 You may have PRP at the time of your appointment or schedule at your convenience. 50 year old male after 2 treatments! 40 year old male after only 2 treatments! 72 year old female who had a hysterectomy in her 40’s. Great response after only 2 treatments!